751 books to cure your existential woes. Entries include (but are definitely not excluded to): COMING OUT, DYING, BEING HAUNTED, BEING TOO ORGANIZED, FEAR OF FLYING, and BEING A HOUSEWIFE. Also things about boredom, agoraphobia, being in the hospital, and itchy teeth. I can't think of a self-help book I'd rather have on my shelf than this one. (All entries are alphabetized for easy lookup). Yes, you can be a hero too. Remember reading this in high school? Or college? (I think my world lit prof taught this book, maybe...all I really remember is her four-inch eyeglasses). Anyway, if you're into personality studies, or just the stages of life that successful people go through--the quest, the departure, the shadow stage, etc.--you should probably read this book. And watch "The Odyssey," while you're at it. "A Writer to Young Writers"
A recommendation from my good friend Ian Dunn, he said this book might help (me) on the path to knowing what to write, having confidence to write at all, and staying true to one's goals. 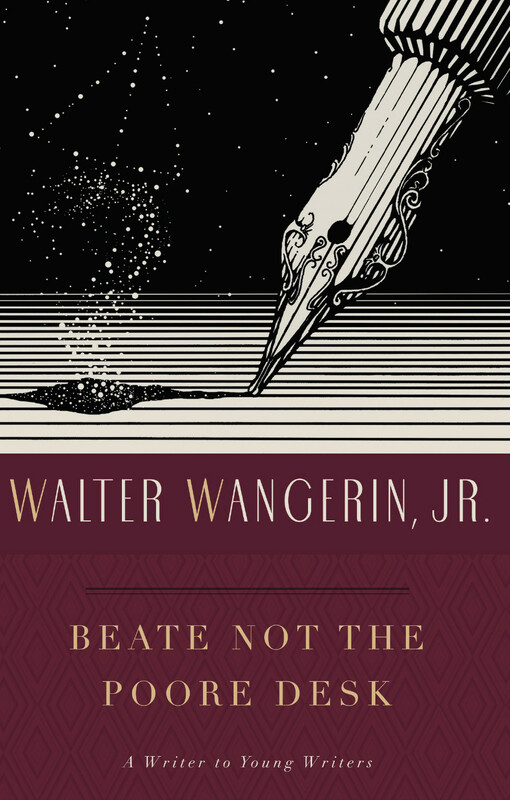 Ian said the fellow who wrote it (Walter Wangerin) is a Lutheran minister who "looks kind of grumpy in his photos," but "seems kind in his words." Well. That could describe a lot of the best people in the world. Published by Farrar, Straus & Giroux. (That means it is good). A recommendation from my friend Benjamin Rubinstein (read his blog, here). Freedom is a book about the middle of America, and messy living. Basically, it's about normal people who tell all their disgusting (still, probably normal) secrets. The difference between good literature and bad is that good literature is honest: it doesn't just tell the pretty stuff. Literature is about the inside story. About liberation. Hence: Freedom. 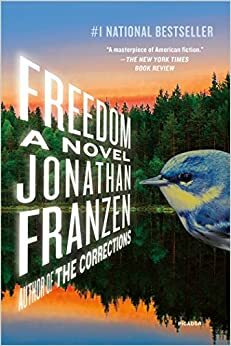 By Jonathan Franzen. Had a fiction-writing friend of mine (who does more than just write fiction) recently recommend this book to me. George Saunders is all over the news right now, most notably for publishing his first novel, Lincoln in the Bardo. I recently read an article about his interaction with spirituality, posted on https://imagejournal.org. "a poetic and engaging exploration of the unexpectedly wide scope of our everyday existence." 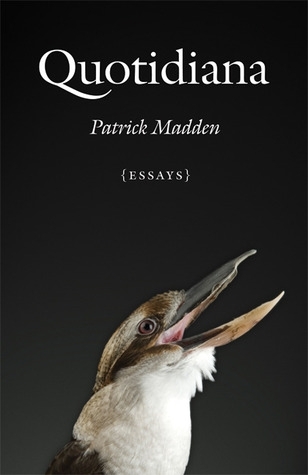 A collection of musings on seemingly mundane life actions and happenings, Madden writes under chapter headings such as "Garlic," and "Singing." A collection that's sure to call us humans back to ground level, and encourage us to keep looking inward at our hearts and minds. Two close friends of mine (who happen to be writers) recently recommended this book to me. I promised to read it soon. Love and Other Ways of Dying is nonfiction--a collection of essays. A (different) friend recently perused whether nonfiction wasn't as highly thought of in the literary world. Hm. Do we put nonfiction below fiction, just subconsciously? Maybe Michael Paterniti's book will help prove nonfiction's importance. "The next day I realized I had done it. I had a read a book in one day. And a very hefty book at that, more than 400 pages in all. 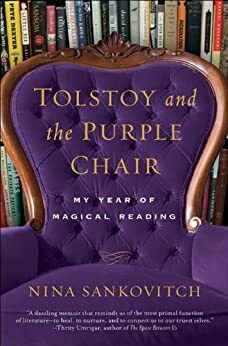 Of course there had been other days in my life when I'd devoured a book in one sitting or in paced feastings over the course of one day. But this book on this day had been a test for me. And I knew now that I was ready. I was ready to read a book a day for one year." And she'd just graduated Yale. I ordered this book and am awaiting its arrival. I want to read it because I hope it will speak to many of the emotions and life changes I've had to deal with since graduating college. I hope it will speak to the doubts and uncertainties that I've judged in myself to be wrong, when really, they're probably just...normal.